PREVENT is a multi-lab and multi-disicplinary projects, conducted at the Toulon university , the MIO being one partner. 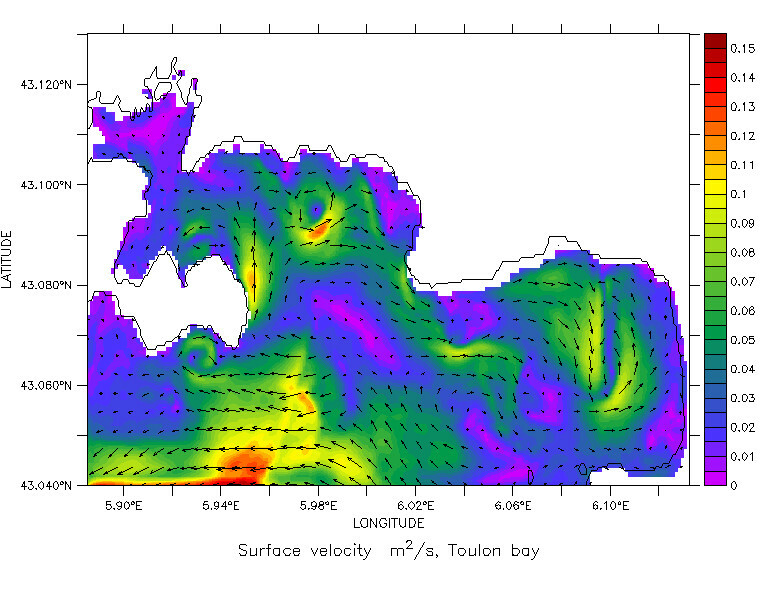 The main goal of PREVENT for our contribution is to better understand the dynamics of the Toulon bay, in order to better simulate the contaminant transport in the area. To conduct this task, a very high resolution model has been set at 100 m in horizontal resolution, using the MIT GCM. This particular task is associated to C. Mazoyer's PhD.